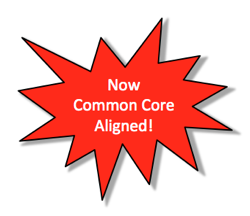 The goal is to align everything so that students and the money have nowhere to go but Common Core. A few days ago, I wrote the first article in a multi-part series, Common Core Aligned: Southern Poverty Law Ctr’s ‘Teaching Tolerance’. The article covered Southern Poverty Law Center (SPLC) and their education arm, ‘Teaching Tolerance’. The overall aim is to provide free materials to teachers in order to push a particular set of social issues in K-12 classrooms; effectively turning little kids into activists. This is part two. This ‘teaching’ arm concentrates on using Common Core aligned readings with correlating activities with the intent of turning school aged children into activists for social issues and causes. This includes the use of Social media, which parents may or may not be comfortable with their child using. The goal is clearly to spur social activism, as narrated by Teaching Tolerance’s materials, by children. These materials could be in your child’s classroom right now. How would you know? Teaching Tolerance is being distributed free of charge by the Southern Poverty Law Center (SPLC) to more than 400,000 educators nationwide. It can be read at http://www.teachingtolerance.org. ‘Teaching Tolerance’ has announced its new ‘Advisory Board‘. Parents at Frank Porter Graham Elementary in Chapel Hill, North Carolina might be in for a surprise. Meet Barbie Garayua Tudryn. She’s on the new board. According to Facebook, she previously worked at the “Racial Equality Institute“. This entry was posted in Common Core, EDUCATION, Err What?, LL1885, Poltical Correctness, Racial Justice, Social Justice, The Articles and tagged Common Core Aligned, Southern Poverty Law Center, SPLC, Teaching Tolerance. Bookmark the permalink.